Traditionally, when we think of gold, we imagine large, chunky pieces of jewellery stacked in lockers only to be worn on special occasions. This is quite off-putting for the modern Indian women who find it a waste of money to invest in ornaments only to never wear them as often as they'd like. Furthermore, 24k and 22k gold is expensive due to the level of gold purity. 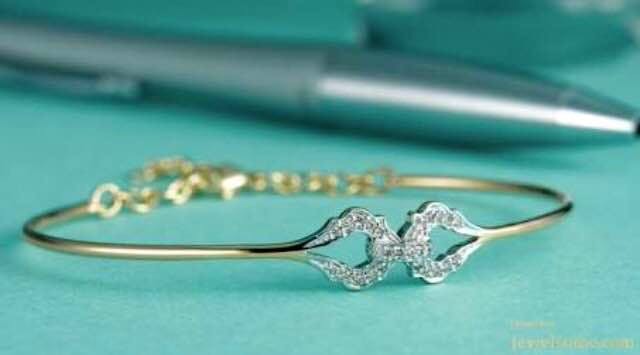 To address these woes, Tanishq came up with the concept of 14k carat gold jewellery which would mean 14 parts gold and remaining 10 parts of other metals such as silver, copper, and nickel etc, branded as Mia. Mia designs are dainty and delicate, purposely created for daily use at work and other social events. Available in yellow, white, and rose gold, there's a range of diamond studded designs too. The collection offers stunning chains, bracelets, bangles, earrings, and pendants. And since is just 14k gold, the jewellery is also sturdier and less subject to damage. Prices start at INR 5,000. With multiple stores all across India, their collection is available online too. I visited the store in Phoenix Market City and was highly impressed with their service and collection.